As I am currently dieting, to give myself extra incentive I decided that for every week I lose weight, I would allow myself a treat up to the value of £10. For my first week, these were my treat! They were a little over £10, but as they were by one get one half price, I thought I may as well get them both at the same time! 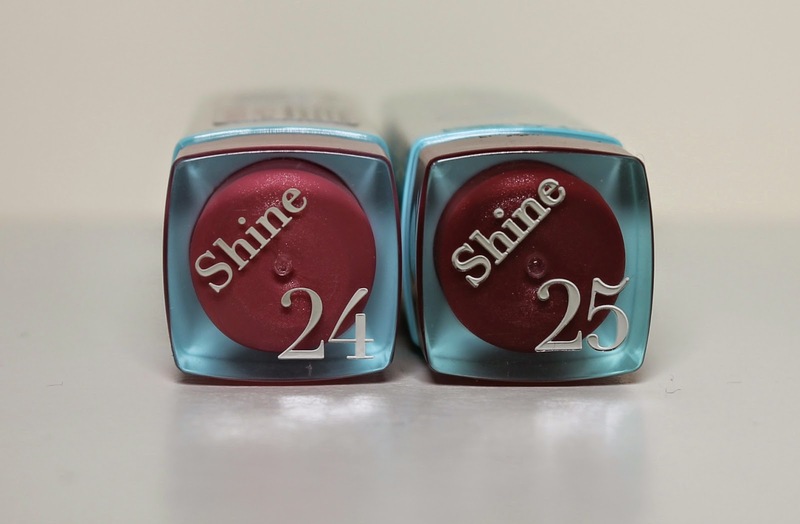 I went for the colours 24 and 25, or Rose xoxo and Mauve Tabloid if we go by their names! Aren't they so beautiful side by side. They both have small flecks of glitter in them to make them extra shiny. 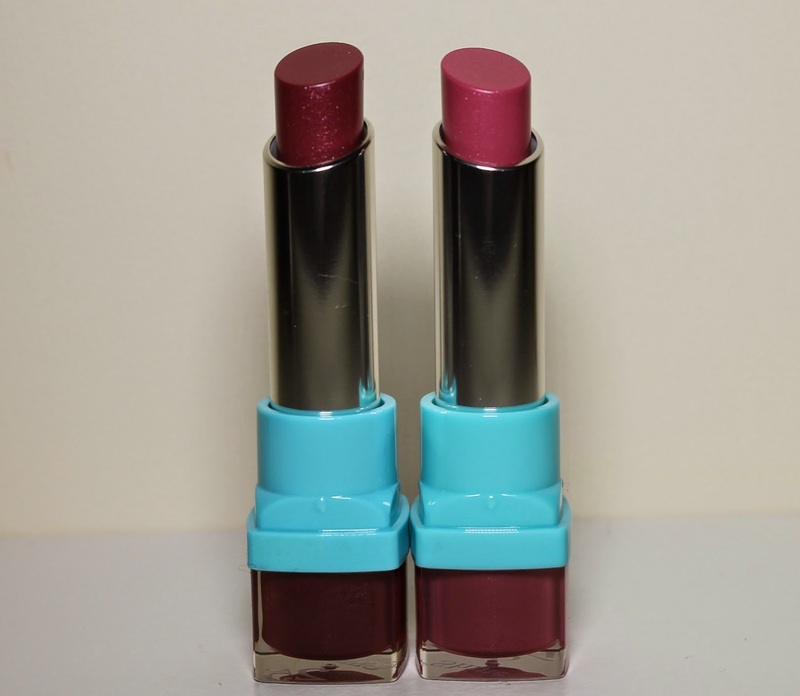 On the left is Mauve Tabliod which is a nice berry colour, and on the left is Rose xoxo which is a lovely rosey pink, which will be perfect for me as an everyday colour! Unfortunately my lips are in a bit of the state at the moment with it being colder than cold. Even with me using balms and scrubs! Therefore I couldn't swatch these beauties on my lips, but I thought I'd do them on my hand so you can at least kind of see what they look like. 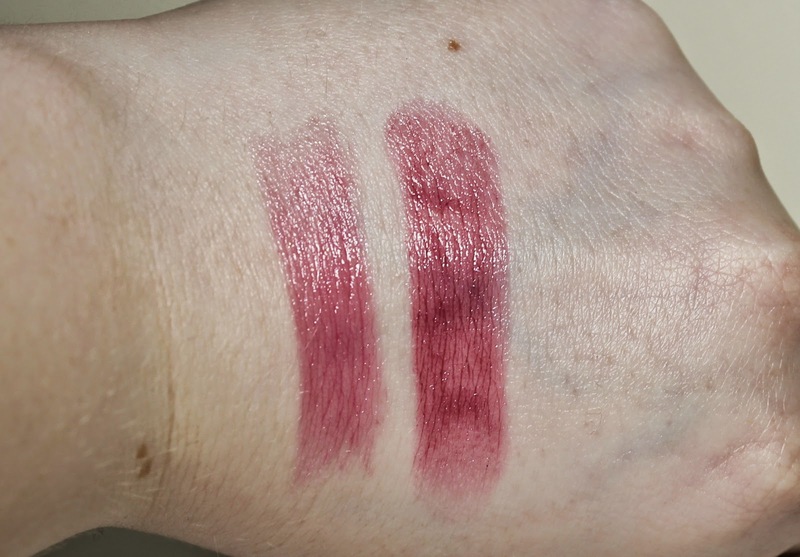 Rose xoxo is on the left and Mauve Tabloid on the righ, you can really see how much they shine. I have been craving a berry toned lipstick for such a long time, and Mauve Tabloid seems like the perfect one for my first berry lipstick! 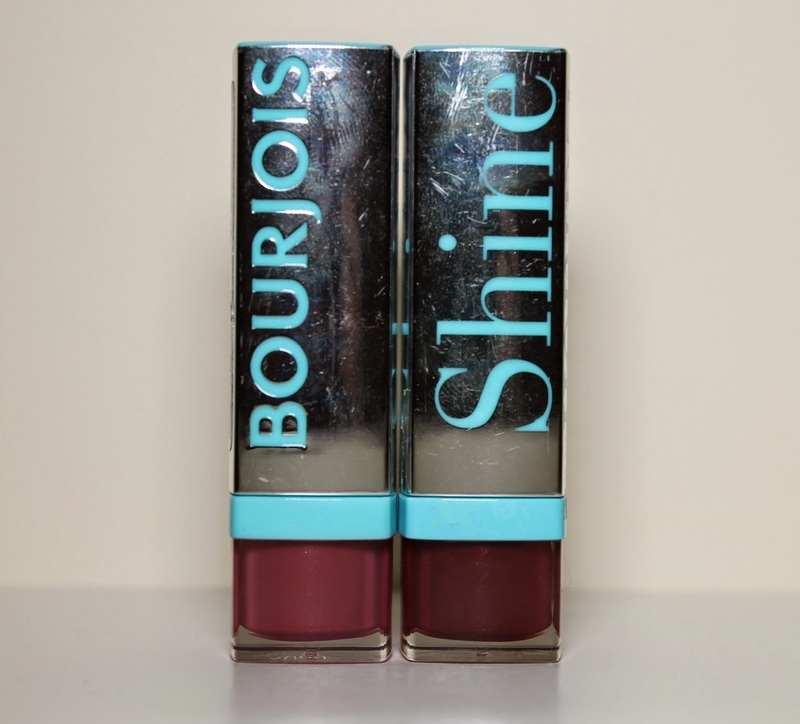 Let me know in the comments if you have any of the Shine Lipsticks by Bourjous, and what you think of them. Lovely berry tones, perfect for this time of year! Thats a lovely idea to reward yourself on your weight loss.. probably not my shades but I always find Boujous offer a great and reliable choice. I love their round cream blusher pots.